NOTICES FILINGS TODAY FOR APRIL CONTRACT MONTH: 6 NOTICE(S) FOR 600 OZ. LONDON BASED OPTIONS EXPIRY: JULY 31.2017 AT 11AM OR SO. In silver, the total open interest FELL BY 480 contract(s) DOWN to 206,068 WITH THE FALL IN PRICE THAT SILVER TOOK WITH YESTERDAY’S TRADING (DOWN 4 CENT(S). YESTERDAY THE COMMERCIALS TRIED IN VAIN TO COVER BUT TO NO AVAIL. THE SPEC SHORTS ARE HEARING RUMOURS OF TROUBLE WITH DELIVERIES IN LONDON SO THEY ARE TRYING TO GET OUT OF THEIR SHORTS. THE LONGS CONTINUE TO REMAIN STOIC. In ounces, the OI is still represented by just OVER 1 BILLION oz i.e. 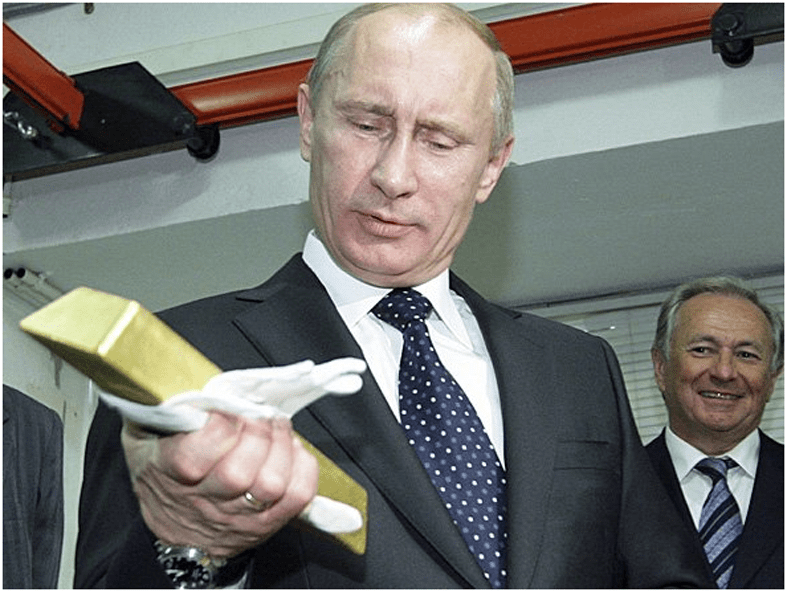 1.03 BILLION TO BE EXACT or 147% of annual global silver production (ex Russia & ex China). In gold, the total comex gold FELL BY 4830 CONTRACTS WITH THE FALL IN THE PRICE OF GOLD ($0.25 with YESTERDAY’S TRADING). The total gold OI stands at 458,968 contracts. We continue to have liquidation in the front month as these guys are given EFP’s which gives them the right to receive a fiat bonus plus a future delivery product and these are generally London based forwards. We will continue to see liquidation up until first day notice on July 31.2017.
we had 6 notice(s) filed upon for 600 oz of gold. Today: : WE HAD A HUGE CHANGE IN SILVER INVENTORY TONIGHT DESPITE SILVER BEING UP 10 CENTS/ A MASSIVE WITHDRAWAL OF 3.309 MILLION OZ OF SILVER. 1. Today, we had the open interest in silver FELL BY 480 contracts DOWN TO 206,068 (AND now A LITTLE FURTHER FROM THE NEW COMEX RECORD SET ON FRIDAY/APRIL 21/2017 AT 234,787), WITH THE FALL IN SILVER PRICE WITH YESTERDAY’S TRADING (DOWN 4 CENTS ). NO DOUBT WE WITNESSED MORE SPEC LONGS ENTER THE ARENA WITH THE REMAINDER OF THE SPEC LONGS BASICALLY REMAINING STOIC. THE SPEC LONGS SEEM TO BE TAKING ON THE BANKERS. THE NEWBIE SPEC SHORTS AND BANKER SHORTS (AS WE WITNESSED IN THE COT REPORT LAST FRIDAY) ARE LOATHE TO SUPPLY NEW PAPER AS THEY ARE TRAPPED IN THEIR OWN JUICES. China is wasting no time as they plan for an eventual attack by the USA. Their plan is to protect the nuclear sites and as well as protect the norther border with China. At the current 60 billion euros of QE purchases, the ECB will run out of German bunds to buy by late 2018. If they reduce purchases down to 40 billion euros, then they will have enough until Jan 2019..
i)Last night we detailed Norseman’s Chairman Russell Clark’s strong belief that the shale patch will run into severe troubles this year. v)China, a huge producer of silver, decided it was important to import huge amounts as well. In June: 10.6 million oz. For the first 6 months: 63.7 million oz. They are on target for about 130 million oz for the year or 18% of annual global production. this is a huge story! i)Former CIA director calls for a coup if Trump fires Mueller: good grief! iii)Not sure if this is fake news but CNN reports that Sec of State Tillerson is considering an early exit from the Trump administration due to huge differences and chaos. The total gold comex open interest FELL BY A 4830 CONTRACTS DOWN to an OI level of 458,968 DESPITE THE TINY FALL IN THE PRICE OF GOLD ($0.25 with YESTERDAY’S trading). The liquidation in the total gold comex continues and we should see a further drop in open interest until first day notice, come July 31.2017. Actually these guys have not really left the gold arena as they have received EFP’s which entitle them to a fiat bonus plus a future delivery contract and this no doubt would be on a London forward. The non active July contract LOST 3 contract(s) to stand at 19 contracts. We had only 2 notices filed YESTERDAY morning, so we LOST 1 contracts or an additional 100 oz will NOT stand in this non active month of July. Thus 1 EFP notice(s) were given for July which gives the long holder a fiat bonus plus a futures contract for delivery and most likely these are London based forwards. The contracts are private so we do not get to see all the particulars. The next big active month is August and here the OI LOST 27,944 contracts DOWN to 31,014, as this month winds down prior to first day notice, Monday July 31. The next non active contract month is September and here they LOST 94 contract to stand at 806. The next active delivery month is October and here we gained 2715 contracts up to 28,847. October is the poorest of the active gold delivery months as most players move right to December. On July 25.2017: open interest for the front month: 118,637 contracts compared to July 25.2016: 180,687. We are now in the next big active month will be July and here the OI GAINED 54 contracts RISING TO 188. We had 17 notices served yesterday so we gained 71 CONTRACTS or an additional 355,000 oz will stand at the comex, and 0 EFP contracts were issued which entitles them to receive a fiat bonus and a future delivery contract (which no doubt is a London based forward). The month of August, a non active month GAINED 31 contracts to stand at 499. The next big active delivery month for silver will be September and here the OI LOST ANOTHER 481 contracts DOWN to 149,580.
amt standing tonight: 16.075 million oz. Today, 0 notice(s) were issued from JPMorgan dealer account and 0 notices were issued from their client or customer account. The total of all issuance by all participants equates to 6 contract(s) of which 0 notices were stopped (received) by j.P. Morgan dealer and 0 notice(s) was (were) stopped/ Received) by j.P.Morgan customer account. To calculate the initial total number of gold ounces standing for the JULY. contract month, we take the total number of notices filed so far for the month (157) x 100 oz or 15,700 oz, to which we add the difference between the open interest for the front month of JUNE (19 contracts) minus the number of notices served upon today (6) x 100 oz per contract equals 17,000 oz, the number of ounces standing in this NON active month of JULY. We LOST 1 contract or AN ADDITIONAL 100 oz will stand and 0 EFP contract(s) was issued as described as above. Over a year ago the comex had 303 tonnes of total gold. Today the total inventory rests at 266.63 tonnes for a loss of 36 tonnes over that period. Since August 8/2016 we have lost 87 tonnes leaving the comex. However I am including kilobar transactions and they are very suspect at best. IN THE LAST 11 MONTHS 89 NET TONNES HAS LEFT THE COMEX. Thus the INITIAL standings for silver for the JULY contract month: 3027 (notices served so far)x 5000 oz + OI for front month of JULY. (188 ) -number of notices served upon today (122)x 5000 oz equals 16,075,000 oz of silver standing for the JULY contract month. YESTERDAY’S CONFIRMED VOLUME OF 66480 CONTRACTS EQUATES TO 332 MILLION OZ OF SILVER OR 47% OF ANNUAL GLOBAL PRODUCTION OF SILVER EX CHINA EX RUSSIA). IN OUR HEARINGS THE COMMISSIONERS STRESSED THAT THE OPEN INTEREST SHOULD BE AROUND 3% OF THE MARKET. 1. Central Fund of Canada: traded at Negative 7.6 percent to NAV usa funds and Negative 6.7% to NAV for Cdn funds!!!! Note: Sprott silver trust back into NEGATIVE territory at +0.14/Sprott physical gold trust is back into NEGATIVE/ territory at -0.67%/Central fund of Canada’s is still in jail but being rescued by Sprott. *LAST 137 TRADING DAYS: A NET 22.36 TONNES HAVE NOW BEEN WITHDRAWN FROM GLD INVENTORY. *FROM FEB 1/2017: A NET 9.17 TONNES HAVE BEEN WITHDRAWN. The precious metal’s ‘summer doldrums’ period is coming to a close. 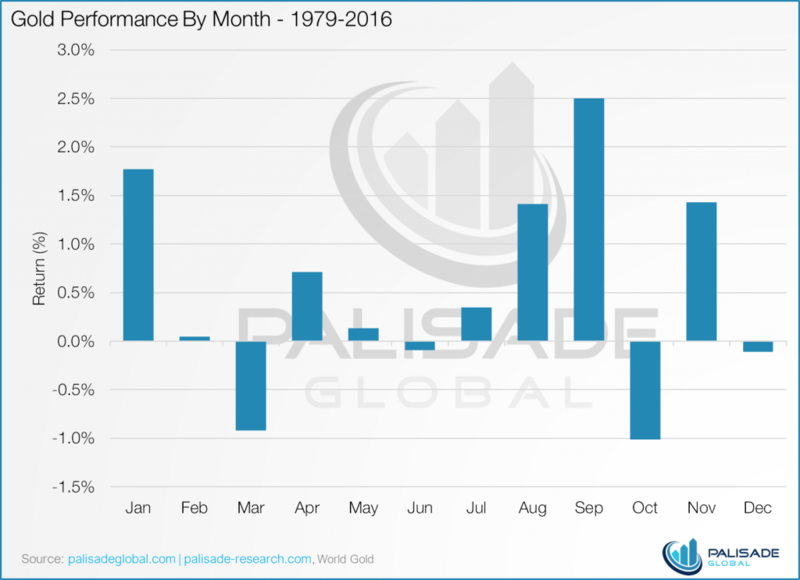 Traditionally seasonal factors often result in weakness in gold and silver, particularly in May and June. This frequently creates an attractive buying opportunity for those seeking to allocate funds to the precious metals. It is important to focus on gold’s value rather than simply its price. Gold’s value is as an investment hedge and financial insurance against financial and monetary crises. There is a real of another global financial crisis in the coming months and in 2018 and hence the importance of owning physical gold and silver. Tanzania just hit Acacia Mining Plc with a tax bill equal to almost two centuries worth of the gold producer’s revenue. The government issued the company, which mines all of its gold in the African country, with a $40 billion tax bill and another $150 billion in interest and penalties, Acacia said in a statement Monday. The charge covers alleged under-declared export revenues from the Bulyanhulu and Buzwagi mines over periods between 2000 and 2017. Acacia reiterated that it has fully declared all revenues. The stock extended a slump after the statement, closing down 21 percent in London to the lowest since January 2016. The giant tax bill is the latest twist in an increasingly ugly spat between the government and Acacia. 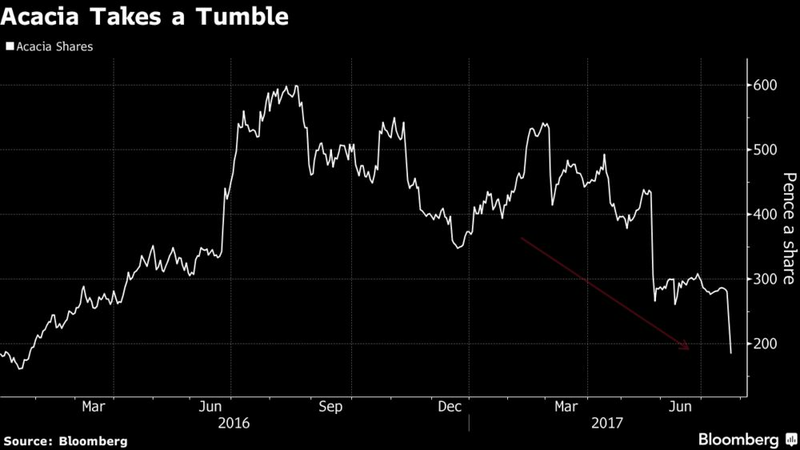 In March, Tanzania banned exports of unprocessed gold and copper, a move Acacia said is costing it about $1 million a day in lost revenue. The situation escalated when the government accused the firm of operating illegally in the country and said mine operators had been evading taxes. “The company is considering all of its options and rights and will provide a further update in due course,” Acacia said in the statement. At least two senior employees have been detained for questioning by Tanzanian authorities this month, while other employees have been interviewed by the police. On Friday, Acacia said the dispute had depleted its cash balance to $176 million from $318 million a year earlier and that it will have to shutter its flagship Bulyanhulu mine at the end of this quarter if the situation is not resolved. From a wholesale market perspective the silver kilobar market is extremely tight, we are witnessing 3 week delays in filling size orders and all the bars are brand new and still warm. Refiners cannot keep up with this demand. Comex silver is undeliverable, any ‘deliveries’ we see are no more than a fork lift ride across the warehouse centreline. SLV is consistently shorted used as a delivery flywheel and rolled over by the same actors .Wouldn’t touch it with a bargepole. More than 2,500 consumer products have shrunk in size over the past five years despite being sold for the same price, official data shows. According to the Office for National Statistics, the so-called “shrinkflation” effect has hit items ranging from chocolate bars, toilet rolls, coffee, and fruit juice. But most of the items getting smaller were food products. MANILA — Philippine President Rodrigo Duterte said today he wanted to stop exporting mineral resources and might close the mining sector completely and tax miners “to death” if damage to the environment persisted. The largest cryptocurrencies are under presure again today – Bitcoin, Ethereum down around 10% – as it seems some anxiety remains ahead of the August 1st scaling decision deadline, chatter about Russian Bitcoin viruses, and a new report from BofA has raised more questions than answers about the future of virtual currencies. Russia’s chief presidential advisor on the Internet has stated a Bitcoin mining virus has infected up to 30 percent of Russian computers. Speaking in interviews with RNS and RBC, Herman Klimenko said that although infection rates varied by region and device, it involved at least 20 percent of machines. “In regions with lower bandwidth instances are reduced, but we’re looking at 20 to 30 percent of devices being infected – iPhones and Macs are less prone,” he commented. Prechter, meanwhile, has correctly predicted Bitcoin’s rise when it was just priced at six cents in September 2010. Elliott Prechter, however, said that the excitement about Bitcoin surpasses the tulip bulb mania in The Netherlands in the early 1600s. Is bitcoin a currency? A commodity? Neither? A proper store of value like the EUR, T-bills, or gold is measured by 3 factors: safety, liquidity, and return. Diversification is a plus. Bitcoin remains very volatile. But it has experienced a surge in liquidity in the last six months, surpassing $2bn a day. Moreover, bitcoin is uncorrelated to any financial asset, commodity, or currency we study in this note. The flipside of extreme diversification is that there is no way to explain let alone predict returns. Could bitcoin see a virtuous cycle of increased liquidity, lower volatility, attractive returns, and wider acceptance? Possibly, if regulated financial institutions move to allow bitcoin as pledgeable collateral. However, large inherent risks to digital tokens such as fraud, hacking, theft, new protocol adoption, limited acceptance, and that it is not legal tender many places in the world make it an unlikely development. When examining the safety of any asset, volatility is not the only source of concern. In the case of bitcoin and other virtual tokens, worries are magnified given that it is not legal tender in many places in the world or regulated by any government bodies. In fact, decentralization is central to bitcoin. As such, risks like fraud, hacking, and outright theft have plagued the cryptocurrency world in recent years. In particular, the surge in initial coin offerings seems hard to justify and creates a risk of fragmentation in the market. Confidence could suffer if many of these offerings turn out to be outright scams to circumvent investor protection regulations. After all, it is hard to “know your client” if a bitcoin transaction happens through an exchange in an obscure jurisdiction. Other issues more specific to the functioning of cryptocurrencies, such as finding an agreement regarding the adoption of certain protocols, are also worth mentioning. For example, should bitcoin split into two digital tokens because miners cannot find common ground, a collapse in confidence and value could follow. Lastly, it is worth noting that cryptocurrency transactions are taxable in many jurisdictions, presenting additional challenges to users that are unfamiliar with the fiscal implications of using bitcoin. Still, bitcoin and ethereum have delivered impressive returns so far as fiat currency flowed into these digital tokens. Is it realistic to assume cryptocurrencies will continue to appreciate over time? The dollar price of gold has appreciated over centuries in line with inflation, but some periods have experienced much faster gold price appreciation than others. Moreover, periods of high real interest rates have been particularly damaging for gold returns in the past. In our view, cryptocurrency returns will mostly depend on the faith placed by individuals, corporations, and financial institutions on this emerging technology. As discussed earlier, there are large inherent risks to digital tokens such as fraud, hacking, outright theft, new protocol adoption, limited acceptance, and that it is not legal tender in many places in the world. Moreover, a crucial hurdle remains. Most regulated financial institutions allow their clients to borrow against financial or physical assets, but we are not aware of any major institution that takes cryptocurrency as collateral at the moment. Thus, in our view, a key step for bitcoin would be for it to become pledgeable collateral. And finally anxiety remains ahead of the fork. China, a huge producer of silver, decided it was important to import huge amounts as well. In June: 10.6 million oz. For the first 6 months: 63.7 million oz. They are on target for about 130 million oz for the year or 18% of annual global production. SHANGHAI (Scrap Register): China’s silver imports have been robust so far this year, pointed out Commerzbank. Rising demand for silver in two of the world’s largest consumers, China and India, since the beginning of this year is seen raising hopes of a better price performance for the metal. A precious metal and industrial metal at once, silver generally follows the footsteps of its more sought-after sibling, gold. The first half of this year has been no different. In the initial months, silver prices rose two per cent on strong investment demand and in line with gold. Analysts at Commerzbank cited a data from customs authorities showing that China imported around 330 tons of silver in June, which is up 34% from last June. The figures show that 1,984 tons of silver were imported in the first half year – 37% more than in the same period last year and the highest first-half-year silver imports in seven years, Commerzbank added. By our reckoning, Turkey has imported some 174 tonnes of gold in the first half of the current year. This reflects a degree of political turmoil both before and after the April referendum, which gave President Erdogan sweeping additional powers, but also Erdogan’s advice late last year that citizens should buy gold or Turkish lira rather than dollars in converting foreign currency or as a hedge against future uncertainties. It looks as though his advice has been well heeded as far as gold is concerned. This year’s imports to date have already exceeded the 106 tonnes imported in full year 2016, which in turn was more than double the amount imported in 2015. Thus this year’s figures represent an enormous increase on prior years’ figures and probably puts Turkey currently in place as the world’s third largest net importer of gold, after China and India. Turkey’s month by month gold imports for the past five years are shown in the chart below from www.goldchartsrus.com . While Turkey is a significant consumer of gold in its own right it has also acted as a conduit for gold going into nations like Iran where economic sanctions have restricted direct imports in the past. The nation is also currently embroiled in the Qatar crisis which could bring it into direct conflict with another Middle Eastern powerhouse – Saudi Arabia – and it is hugely critical of U.S. support for Kurdish forces helping the latter in the fight against Islamic State. It sees the strengthening of the Kurdish militias as a major threat to the region as the Kurds have an agenda to create a Kurdish state which would incorporate ethnic Kurdish areas of Turkey, Syria and Iraq. With Chinese gold demand remaining reasonably strong and Indian demand hugely up in the first half of the year ahead of the new GST imposition, gold flows from the West to the Middle East and South and East Asia have been very strong in the first half of the year and have probably accounted for just about all of the world’s new mined gold, which puts physical metal in short supply in the west. Gold continues to be taken out of the world’s largest gold ETF, GLD in the U.S., but it looks as though this has immediately moved eastwards and has so far had little impact on the gold price. Analysts are awaiting any signals which may come out of this month’s U.S. Fed meeting which takes place over the next 2 days. While this is not expected to recommend a further interest rate increase, the minutes of the deliberations will be pored over for signals of the Fed’s current thinking on rate rises and balance sheet reductions. 3b Japan 10 year bond yield: RISES TO +.076%/ GOVERNMENT INTERVENTION !!!! (Japan buying 100% of bond issuance)/Japanese yen vs usa cross now at 114.34/ THIS IS TROUBLESOME AS BANK OF JAPAN IS RUNNING OUT OF BONDS TO BUY./JAPAN 10 YR YIELD FINALLY IN THE POSITIVE/BANK OF JAPAN LOSING CONTROL OF THEIR YIELD CURVE AS THEY PURCHASE ALL BONDS TO GET TO ZERO RATE!! 3j Greek 10 year bond yield RISES to : 5.286??? 30 SNB (Swiss National Bank) still intervening again in the markets driving down the SF. It is not working: USA/SF this morning 0.9481 as the Swiss Franc is still rising against most currencies. Euro vs SF is 1.1053 well above the floor set by the Swiss Finance Minister. Thomas Jordan, chief of the Swiss National Bank continues to purchase euros trying to lower value of the Swiss Franc. After sliding to 3 month lows on “car cartel” concerns yesterday, European stocks have rebounded after three days of declines, while oil extended gains after Saudi export cuts, with Brent rising above $49 and WTI just shy of $47. Asian stocks fell while S&P futures rose 0.2% to 2,473, putting yesterday’s GOOGL drop on plunging Costs-Per-Click in the rearview mirror. Helping today’s episode of global, pervasive complacency is the VIX which was hammered early by 3% in early Tuesday trading, down to 9.17. As previewed on Monday, the dollar rebounded after dropping to its lowest since August as investors await Wednesday’s U.S. interest rate decision; the greenback strength sent Gold lower for the first time in four days. US TSYs sell-off in relatively heavy volume after a large futures block trade in London hours and Bunds decline as strong German IFO data weighs. The dollar rallied from overnight low against G-10 and UST move helps USD/JPY trade through yesterday’s high. Most European industry sectors rose as the Stoxx Europe 600 Index rose 0.5%, with banks leading the way as German 2s10s curve steepens and ahead of bank earnings later this week, helping the DAX regain some of the recently lost ground, although as the chart below shows it has a way to go before catching up with the MSCI World Stocks index which remains just shy of all time highs. Emerging-market equities fell after gaining in 10 of the past 11 days, on the back The greenback strengthened with the euro, which flirted once again with its highest level in two years after German business confidence data beat expectations. Saudi Arabia’s promise to further cut crude exports pushed Brent to under $1 of $50. Overnight, the Euro got a boost after ECB’s Mersch stated monetary accommodation is still needed and ongoing expansion in the euro area offers confidence but stated that “risks to the euro area growth may be to the upside” and that headline inflation is dampened by weak energy prices, but added that underlying inflation is to rise gradually. The Euro got a boost as German business morale hit new high, with firms “euphoric” according to the Munich based Ifo economic institute that compiles the data from 7,000 of them in Europe’s largest economy. “Hardly anything seems to be able to hit the German economy,” Ifo economist Klaus Wohlrabe added, saying German business was experienced in managing the impact of exchange rate moves following the euro’s sharp rise. The Australian dollar rose less than 0.1 percent after erasing an earlier decline. Attention turns to two key events on Wednesday: June quarterly inflation data and a speech on the labor market and monetary policy from Reserve Bank of Australia Governor Philip Lowe. Japan’s Topix index lost 0.3 percent. Australia’s S&P/ASX 200 Index added 0.7 percent. South Korea’s Kospi index retreated 0.5 percent. The Hang Seng Index was little changed while the Shanghai Composite Index slipped 0.2 percent. Strong rally in base metals, led by copper with most noting potential demand growth from China; U.K. mining stocks supported through the equity open. The political troubles of President Donald Trump’s White House continue to mount, with investigations into his pre-election links to Russia deepening. There is also growing anxiety about the United States hitting another debt ceiling in October with few moves to potentially offset that. Greek government borrowing costs meanwhile hovered near their lowest level since 2010, as the country sought to sell its first longer-dated bond in three years. Some five years since European Central Bank Mario Draghi pledged to do “whatever it takes” to preserve the euro, the debt sale by the euro zone’s weakest economy is the clearest sign yet of the bloc’s recovery from a crippling debt crisis. Elsewhere in rates, the yield on 10-year Treasuries increased two basis points to 2.27 percent, the highest in more than a week. Germany’s 10-year yield rose one basis point to 0.52 percent. Britain’s 10-year yield also added one basis point to 1.194 percent. France’s 10-year yield climbed one basis point to 0.763 percent, the first advance in more than a week. The gap between Italian and German 10-year bond yields narrowed to its smallest since December 2016 at 153 basis points. Companies scheduled to report earnings include AT&T, Amgen and 3M. Economic data include conference board consumer confidence. ECB’s Mersch stated monetary accommodation is still needed and ongoing expansion in the euro area offers confidence. Mersch also stated that risks to the euro area growth may be to the upside and that headline inflation is dampened by weak energy prices, but added that underlying inflation is to rise gradually. European bourses trade green across the board, financials out-perform, likely a carry on to a strong Q2 earnings start for the banking stocks. German Ifo was the key piece of data for the morning, where beats were seen across the report. Despite earnings, stock specific news has largely been dictated by takeover talk, with Jimmy Choo confirming an offer from Michael Kors, being followed by reports that Shell and Softbank are among potential suitors considering bidding for renewable energy firm Equis for potentially USD 5bn. Fixed income markets were led by German paper in early trade, as a large sell order was followed by the aforementioned strong German Ifo data. BTP’s have outperformed, after hitting a new high at 137.17, with the Italian yields still managing to hold above 2.00%. In currencies, EUR/USD saw a slight bid following the Ifo beat, marginally so, continuing to trade in the day’s range, with similar price action seen in EUR/GBP, with the pair quickly retracing the move. The Kiwi saw some brief, rare selling pressure, amid news that New Zealand Officials stated that a contagious disease has been found in 14 cattle. With New Zealand being one of the top five largest exporters of beef, this weighed on the Kiwi dollar. The volatility in NZD led into early European trade, and despite NZD/USD bouncing ahead of 0.74, a Kiwi recovery was not seen in AUD/NZD, trading though overnight highs in the European session. A 1.07 test in AUD/NZD is possible, as the week’s high is set to act as intra-day resistance. The Japanese risk event overnight was the BoJ meeting minutes for June 15th — 16th meeting; the highlight stating that members agreed policy needs to be keep easy as price target is still distant. Despite a modest uptick following the release, and some buying following, the 11.30/50 area continues to act as intraday resistance, and following the rejection of this level once again, the market has been pushed to look to test 110.60 lows. In commodities, energy traders will await the API report following the wall street closing bell this evening, with Oil markets trading subdued following the OPEC led volatility yesterday. The precious metals trade marginally lower, as mild money flow into equities has been clear, further weighed upon by strong numbers out of Germany. Gold does trade at the top of a July uptrend however, slowing down around the 1257.50 area (23 June High). Taking a look now at the day ahead, we will see house price data for May in the form of the FHFA House Price Index (+0.5% mom expected) and the S&P House Price indices. We will also get the July readings for the conference board consumer confidence indicator (116.5 expected; 118.9 previous) and the Richmond Fed Manufacturing Index (7 expected; 7 previous. Away from the data, the US secretary of Commerce will address the economic club of Washington and BOE Haldane speaks. Notable US companies reporting include: AMD, McDonalds, 3M, Texas instruments, Caterpillar, AT&T and GM. There wasn’t much heat in markets yesterday and we saw a day of mixed sentiment across broader European and US equity markets although the VIX did hit an intra day low of 9.26 (closed at 9.43) in late trading which would have been the all time low. The NASDAQ (+0.4%) hit fresh all time highs. If there was a story to keep on your radar it’s that yesterday saw the US T-bill curve invert after a weak 3m auction. There’s chatter that autumnal debt ceiling fears are creating some worries. Back to equities, in Europe the STOXX dipped by -0.2% on the day which can be traced to some weaker PMI data out yesterday (discussed further below). However the market dynamics were more uneven across regions: the DAX (-0.3%) and FTSE (-1.0%) both posted losses while the CAC (+0.2%) and FTSE MIB (+0.6%) rose on the day. To be fair the lows of the day were early in the European session and the rest of the day was spent slowly recovering. Most sectors posted a loss though with the Automobile sector as the worst performer at -1.2%, while the STOXX Banks index was the top performer as it gained +0.8% on the day ahead of a number reporting this week. Over in the US the S&P 500 (-0.1%) and Dow (-0.3%) were both down. Nearly all S&P 500 sectors were in the red although financials were the best performer and rose by +0.3% on the day, followed by IT (+0.25%). This morning in Asia, markets have been quiet and slightly on the softer side with the Nikkei (-0.1%), Kospi (-0.1%), Hang Seng (flat) and the 3 Chinese bourses down around 0.2-0.3%. Alphabet shares fell as much as -3.5% after hours last night after a disappointing earnings report. On the US political links with Russia, during a 2.5 hours Q&A with Senate investigators, White House advisor Kushner denied he “…colluded with Russia, nor do I know of anyone else in the campaign who did so..”. That said, he also confirmed 4 contacts with Russians during the presidential campaign, but the “encounters were unmemorable”. The ongoing saga to repeal Obamacare also continues. Trump remains defiant, warning Senate Republicans that anyone who votes not to take up debate of the bill today is saying they are “fine with the Obamacare nightmare.” Realistically, Republicans have been struggling to find a replacement plan that can attract >50 votes in the Senate, even though the party has a 52-48 majority. Nonetheless, Senator Cornyn appears to be fighting to the end, noting yesterday that “if for some reason we aren’t able to muster the votes tomorrow…it’s not the end of it….” For now, we wait and watch. Back to yesterday and over in government bond markets, we saw the German Bund curve unchanged to slightly lower across all maturity points (2Y: -2bps; 10Y: unch). OATs (2Y: -1bp; 10Y: unch) and BTPs (10Y: -2bps) also saw yields broadly flat to slightly lower across maturities, while Gilts saw yields rise across all points of the curve (2Y: +1bp; 10Y: +1bp). Over in the US Treasury yields were higher across all maturity points (2Y: +2bps; 10Y: +2bp). Over in FX markets, the US dollar index posted a rare recent gain (+0.2%) following two weeks where it has cumulatively dropped by over -2%. Sterling was also up on the day by +0.2%, while the Euro saw its rally pause for breath as it dropped by -0.2% on the day. Over in commodity markets crude oil was up on the day (WTI +1.4%) although other segments of the energy sector posted some losses. Oil was helped by Saudi Arabia pledging big export cuts and also Halliburton suggesting the shale boom was slowing. The metals sector saw precious metals flat to marginally lower (Gold: +0.0%; Silver -0.1%) while industrial metals were a mixed bag with copper gaining (+0.8%) while aluminium was lower (-0.1%). We also got a look at the latest CSPP numbers out yesterday. Net CSPP purchases averaged €145mn/day last week, well below the €361mn average since the program started. This was a very slow CSPP week, even by last summer’s standards (only the Christmas break lull is comparable). With PSPP purchases at €12.1bn, the weekly CSPP/PSPP flow ratio dropped to 6% which is less than half of the historical average. However much of this may be noise due to the summer lull and it remains difficult to conclude much from these dynamics. Staying with credit, Michal Jezek on my team published a note yesterday on his views on credit curves in Europe. The piece notes that while credit curves are expectedly steep given the current macro environment and sound corporate fundamentals, future changes will depend on how good a macro outlook is being priced in already and what the contribution of ECB QE technicals has been. Given our views about the likely combination of macro fundamentals and market technicals going forward, we maintain a flattening bias. We also highlight key curve trade strategies around these views. Taking a look at yesterday’s calendar, the key numbers in Europe were the manufacturing, services and composite PMIs for France, Germany and the Eurozone. The Euro Area composite PMI disappointed as it pulled back more than expected (55.8 vs. 56.2 expected; 56.3 previous). As the services PMI reading was steady on the month as expected (55.4 vs. 55.4 expected; 55.4 previous), the fall in the composite can be largely attributed to the unexpectedly large drop in the manufacturing PMI (56.8 vs. 57.2 expected; 57.4 previous). France and Germany also saw their composite PMIs disappoint after dropping to 55.7 (vs. 56.4 expected; 56.6 previous) and 55.1 (vs. 56.3 expected; 56.4 previous) respectively. However France actually saw its manufacturing PMI unexpectedly rise to 55.4 (vs. 54.6 expected; 54.8 previous) while the drop in the composite was largely due to the fall in the services PMI (55.9 vs. 56.7 expected; 56.9 previous). Germany on the other hand saw both its manufacturing (58.3 vs. 59.2 expected; 59.6 previous) and services (53.5 vs. 54.3 expected; 54.0 previous) disappoint. Over in the US we also got the Markit PMI numbers, where the composite ticked up to 54.2 (53.0 previous) primarily off an unexpectedly large gain in the manufacturing PMI to 53.2 (vs. 52.3 expected; 52.0 previous) as services remained steady (as expected) on the month at 54.2. Away from PMIs the US also saw existing home sales data for June that came fell more than expected to 5.52m (vs. 5.57m expected; 5.62m previous). Taking a look now at the day ahead. In Europe we will open with various July confidence indicators out of France, which will be followed by the July IFO business climate (114.9 expected) and expectations (106.5 expected) readings for Germany. Over in the US we will see house price data for May in the form of the FHFA House Price Index (+0.5% mom expected) and the S&P House Price indices. Thereafter we will also get the July readings for the conference board consumer confidence indicator (116.5 expected; 118.9 previous) and the Richmond Fed Manufacturing Index (7 expected; 7 previous). Away from the data, the US secretary of Commerce will address the economic club of Washington and BOE Haldane speaks. Notable US companies reporting include: AMD, McDonalds, 3M, Texas instruments, Caterpillar, AT&T and GM. With attention focused on geopolitical tensions involving North Korea, the world may have missed that another, potentially more troubling conflict is brewing on the border between India and China, where as we reported over the weekend, China threatened with military action after a “blatant sovereignty infringement.” Since then tensions have grown, and on Monday China warned on Monday that it will step up its troop deployment in a border dispute with India, vowing to defend its sovereignty at “whatever cost”. He also said that “border troops have taken emergency response measures in the area and will further step up deployment and trainings in response to the situation,” without giving any details about the deployment. Meanwhile, showing no signs that either nation is willing to relent, India and China both said they have foreign support for their positions on the conflict. As AFP adds, India-ally Bhutan has said construction of the road is “a direct violation” of agreements with China. Bhutan and China do not have diplomatic relations. India, which fought a war with China in 1962 over a separate part of the disputed Himalayan border, supports Bhutan’s claim, although India should “not have any illusions” that its position will prevail, Wu said. India and China have vied for strategic influence in South Asia, a key component of China’s “One Belt One Road” initiative, with Beijing ploughing large sums into infrastructure projects in Nepal, Sri Lanka and Bangladesh. Bhutan has remained closely allied to India. All land-based military and commercial traffic between India’s northeastern provinces and the rest of the country travels through the narrow strip of land known as the Siliguri Corridor — also sometimes referred to as the Chicken’s neck. The Doklam Plateau — where troops are currently facing off — overlooks the corridor, which India defense strategists fear could be vulnerable to Chinese attack in case of a conflict. In other words, just like all other central bank pronouncements, this too was meant to instill confidence in the economy. There is just one problem: the question which Nowotny tried so hard to ignore is precisely the one that matters as we most recently explained in “Both ECB And BOJ Are Just Months Away From Running Out Of Bonds To Buy.” The question is even more relevant considering it has been the ECB’s purchases of corporate (and government) bonds that has led to a record drop in European credit spreads as we showed yesterday. But back to the math, because apart from the macro economic rationale for tapering the most important, if not only limiting factor which will result in a moderate tapering of the QE programme starting in the coming months is the lack of eligible government bonds, Bunds in particular, for central bank purchases. As a reminder, the current eligibility criteria (which admittedly can be changed) for government bonds is that they should be euro denominated, have a remaining maturity of 1Y to 31Y and an issue and issuer limit of 33% applies. The issuer limit is different from the issue limit as it takes into account central banks’ holdings of government bonds outside of the asset purchase program as well. Using ECB data, one can estimate the remaining eligible universe taking into account the reinvestment needs and the impact of gross issuance on the eligible universe. This is what Deutsche Bank has done recently, assuming that 70% of German PSPP purchases are in central govt. bonds with the remaining 30% in regional government bonds and local agencies. The bank then estimates that the remaining eligible universe of bonds is €114bn. Further assuming gross issuance for the remainder of 2017 and 2018 to be € 69bn and € 150bn respectively, I.e. a total of EUR 220bn, the eligible universe increases by 33% of this amount which is €73bn. This takes the total eligible universe by the end of 2018 to approximately €185bn. At the current pace, Bund purchases until the end of the year should amount to €50bn. Should the ECB continue monetizing debt at the current pace it will not have enough eligible bonds by the end of 2018. This is where the taper comes in: at an aggregate QE pace of €40bn per month from Jan-18 onward, a €20bn reduction of the current monetization pace, total QE purchases of German govt bonds would amount to €67bn. Additionally, estimating that reinvestment needs until the end of 2018 would amount to €40bn, this takes total QE purchases to €157bn which is comfortably below the available eligible universe of €185bn, however virtually no eligible bonds remain going into 2019. Summarizing DB’s calculations, if the ECB were to reduce the pace of QE to €40bn per month starting from Jan-18, the ECB should not run out of German government bonds to purchase until early 2019. On the other hand, if it keeps the current pace of QE, it will run out of paper by late 2018, and even with a downward revised €40bn monthly total, the ECB will have almost no German bonds left to buy in early 2019. Furthermore, even tapering to €20Bn in late 2018 or 2019 will only extend total QE by just a few more months at best. One day after a US spy plane had to take “evasive action” over the East China Sea after a Chinese fighter jet showed off its Top Gun skills and appeared 90 meters in front of the interloper, a US Navy patrol ship fired warning shots toward an Iranian vessel near the northern Arabian Gulf on Tuesday after the vessel came within 150 yards (137 meters). Reuters, which confirms the report, quotes an official who said the USS Thunderbolt fired the warning shots after the Iranian vessel ignored radio calls and the ship’s whistle. The Thunderbolt was being accompanied by several U.S. Coast Guard vessels. The official also said that the Iranian vessel appeared to be from Iran’s Islamic Revolutionary Guard Corps. “The IRGCN boat was coming in at a high rate of speed. It did not respond to any signals, they did not respond to any bridge-to-bridge calls, they felt there was no choice except to fire the warning shots,” the defense official told AFP. The incident comes as tensions in the Arabian Gulf remain elevated throughout the Qatar crisis, with Iran backing up the small kingdom against the Saudi-led Arab bloc. Additionally, Iran lashed out at the US following the latest sanctions and even though Trump’s administration recently declared that Iran was complying with its nuclear agreement with world powers, he warned that Tehran was not following the spirit of the accord and that Washington would look for ways to strengthen it. Similar incidents have happened periodically, the last in January when a U.S. Navy destroyer fired three warning shots at four Iranian fast-attack vessels near the Strait of Hormuz after they closed in at high speed and disregarded repeated requests to slow down. “The recession made people very price sensitive and you can see the evidence of that by looking at the impressive growth of discount retailers in the last five years, no retail sector has grown faster. But it’s not just British consumers getting duped by “shrinkflation” as all the same games are played in the U.S. markets as well. For example, who is actually going to notice that 10 sheets of paper are missing from the Bounty rolls on the right versus those on the left? Yet, assuming that both packages are sold at the same price this small reduction in size equates to a substantial 9% price hike on a per sheet basis. Conclusion: Caveat emptor…there is a whole army of Harvard MBAs working in consumer goods companies all around the world whose sole mission in life is to get you to pay more for less without ever noticing. Last night we detailed Norseman’s Chairman Russell Clark’s strong belief that the shale patch will run into severe troubles this year. It appears that Horseman Global’s Russell Clark may have been spot on with his bearish take on the US shale sector. What I also find extraordinary, is that it seems to me shale drilling is a very unprofitable industry, and becoming more so. And yet, many businesses in the US have expended large amounts of capital on the basis that US oil will always be cheap and plentiful. I am thinking of pipelines, refineries, LNG exporters, chemical plants to name the most obvious. Even more amazing is that other oil sources have become more cost competitive but have been starved of resources. If US oil production declines, the rest of the world will struggle to increase output. An oil squeeze looks more likely to me. Ironically it was Walker himself who issued a clear warning to Wall Street in June, when he bought up something we first covered in April of 2015 in “When QE Leads To Deflation: A Look At The “Confounding” Global Supply Glut“, when he said that it was the relentless supply of cheap capital that was masking the underlying lack of profitability and allowing shale companies to pump beyond the point of negative returns: “The biggest problem our industry faces today is you guys,” Al Walker, chief executive of Anadarko Petroleum Corp. told investors at a conference last month, quoted by the WSJ. Ultimately, it was up to Walker to demonstrate that discipline when he voluntarily reduced the amount of capital he would reinvest in his business. And since oil exploration is by far the most capital intensive industry, the hit to revenue will be quick and painful, much to the delight of OPEC which may finally be seeing light at the end of a long, dark tunnel. To that point, Anadarko also said it was trimming its 2017 production forecast to 644,000 bpd, a 2% cut. Incidentally, Horseman is not the first to turn bearish on shale. As Bloomberg reported earlier, Goldman Sachs Asset Management has been shedding oil and gas-related company bonds in the past few months and shorting oil in some portfolios, according to Mike Swell, the firm’s co-head of global fixed-income portfolio management. The investment manager has moved from an overweight position in energy-related corporate bonds a few months ago to neutral today and toward an underweight stance, he said in an interview on Friday. However, while the Anadarko news is clearly negative for its shale peers, most of whom are set to announce similar capex declines, it will likely end up being positive for oil prices as much of the “swing” crude production courtesy of the US shale basin is about to be reduced substantially, in a clear victory for OPEC which has been waiting long for just this day. Anadarko’s CapEx cut also comes in the same month as the EIA announced that US shale production just hit a new all time high of 5.472mmb/d. The recent trend of inventory draws (in crude and products) has supported higher Brent and WTI prices (the latter testing $48 today) despite surging production. API reported more of the same with a much larger than expected draw (-10.2mm vs -3mm exp), sending WTI above $48. All was not perfect in the report however as gasoline saw an unexpected build. Venezuelan President Nicolas Maduro has made it clear: Nothing short of the invasion threatened by President Donald Trump will stop him from holding a vote on a new constituent assembly that will officially replace the country’s legislature and likely allow the embattled president to rewrite the country’s Constitution, cementing his grip on power. According to Bloomberg, Maduro has said the vote will be held next week in defiance of threats of US sanctions, and calls by his opponents for a two-day general strike. If approved, the new assembly will replace the country’s previous opposition-controlled assembly, which was annulled by the Maduro-controlled Supreme Court in March. Once approved, it’s widely believed that Maduro will stock the assembly with political allies who will enable the re-drafting of the country’s constitution, allowing Maduro to consolidate power and officially marginalize anyone who opposes his regime. In the face of mounting violence, opposition lawmakers are urging citizens to demonstrate at polling places in a last-ditch attempt to foil the vote. The death toll from street demonstrations demanding Maduro’s exit that have become a daily occurrence in Caracas and other Venezuelan cities since they started in April recently topped 100. The US has threatened “strong and swift economic actions” against the regime, which could force Venezuela into a default if the US stops buying hundreds of thousands of barrels of oil a day from the country. The creation of the assembly will enrage millions of Venezuelans who are fighting against the entrenchment of the Maduro regime. Unsurprisingly, Maduro is struggling with abysmally low approval ratings. In a symbolic vote, 7.5 million Venezuelans who participated in an unsanctioned ballot overwhelmingly voted against the assembly. In the run up to the vote, violence against Venezuela’s political opposition is intensifying. On July 5, Venezuela’s independence day, a mob of pro-government thugs brutalized a group of opposition lawmakers who were protesting Maduro’s plans to hold a vote on the new assembly. The irony of this exercise in repression was probably lost on the Maduro regime, which denied involvement and condemned the attack. Frustrated by the rising death toll, some protesters are banding together to form militias, abandoning the strategy of peaceful protest espoused by the opposition and diving headlong into violent urban guerilla warfare. One Bloomberg reporter followed a would-be militia group during one of its meetings, where members created Molotov cocktails and practiced assembling their weapons. The protesters were explicit in expressing their distaste for the president. “The security forces they’re up against, the riot-helmeted troops shooting tear-gas canisters and water cannon and bullets? “They all deserve to die,” one of the bomb makers said flatly, dripping petrol into a jar. “We are tired of being killed,” one demonstrator who refused to show his face or give his name told Bloomberg. “We are willing to go out with guns, to face them as equals,” he said. “The protest must evolve.” The demonstrator claimed to be a teenager from a middle-class neighborhood – fitting the profile of many of the young men who’ve died in the demonstrations. Collapsing oil prices and years of economic mismanagement led to Venezuela’s economic collapse beginning when the price of crude plunged in 2014. It seems that the vote, which the opposition has already written off as hopelessly rigged, will one way or another lead to the next evolution of Venezeula’s rolling political and fiscal crisis – be it a revolution or bankruptcy. The country is struggling with, dwindling foreign reserves, bond yields as high as 36%, and looming payments on billions of dollars of oil-company bonds that were bought by Russia. Meanwhile, its citizens are struggling with hyperinflationary hell that has rendered dollars 1000x more expensive than they were in 2010. As we reported yesterday, Helima Croft, global head of commodity strategy at RBC Capital Markets, believes the country’s next crisis point will arrive by Christmas. But with much of Venezuela resembling the lawless Detroit from the movie RoboCop – public mobs routinely lynch suspected thieves, and gangs of bikers waylay merchants carrying commodities to market – it’s difficult to imagine how the situation could get any more dire for the country’s desperate citizens. The only options left for them, it seems, are to forcefully demand regime change, or pray that the price of oil moves back toward $100 a barrell. Early TUESDAY morning USA 10 year bond yield: 2.2747% !!! UP 2 IN POINTS from MONDAY night in basis points and it is trading JUST BELOW resistance at 2.27-2.32%. The 30 yr bond yield 2.8521, UP 2 IN BASIS POINTS from MONDAY night. USA dollar index early TUESDAY morning: 93.95 DOWN 3 CENT(S) from MONDAY’s close. NOTE: stocks took a tumble in the last hour – not on the healthcare vote but on Trump-Sessions’ headlines. Notably markets barely even blinked when The House voted to debate the healthcare bill. Presumably the market knows it’s going nowhere with McCain back, bringing confirmed “no”s to 3. Former CIA director calls for a coup if Trump fires Mueller: good grief! Today’s animosity between Trump and Sessions was first unveiled in an interview with The New York Times last week, when Trump said he would have never hired his attorney general if he knew he would recuse himself from the probe into ties between the Trump campaign and Russia. Trump in a tweet Monday morning also asked why the “beleaguered A.G.” wasn’t investigating ties between Clinton and Russia. Today’s Trump tweets followed a late night barrage against the WaPo/Amazon/Jeff Bezos (who is now about $2 billion away from becoming the world’s richest man), in which Trump said “So many stories about me in the @washingtonpost are Fake News. They are as bad as ratings challenged @CNN. Lobbyist for Amazon and taxes?” and “Is Fake News Washington Post being used as a lobbyist weapon against Congress to keep Politicians from looking into Amazon no-tax monopoly?“, prompting many to ask if Trump’s much anticipated crackdown against Bezos has officially begun. Update 3: Vice President Mike Pence cast the deciding vote and the motion to begin debate on a repeal of Obamacare has officially passed. While Republicans still don’t know exactly what they’ll be voting on, The Hillnoted that a ‘skinny repeal’ would likely include a repeal of the individual and employer mandates as well as the medical device tax as a way to bridge to a conference committee with the House. Between 2013 and 2016 the population of Illinois fell by 77,966. The population of Cook County fell by 36,739. Between 2001 and 2016 the population of Illinois rose by 313,084. The population of Cook County fell by 122,759. 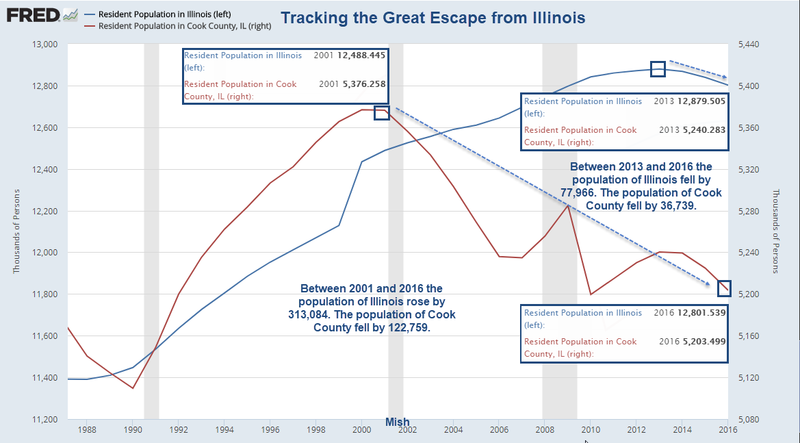 Starting in 2013, the “great escape” is in roughly equal numbers from Cook County and the rest of the state. On July 23 I noted Eight States Including Illinois Have Not Recovered Jobs Lost in Prior Recessions. The states are Alabama, Connecticut, Illinois, Michigan, Mississippi, New Mexico, Ohio, and Wyoming. 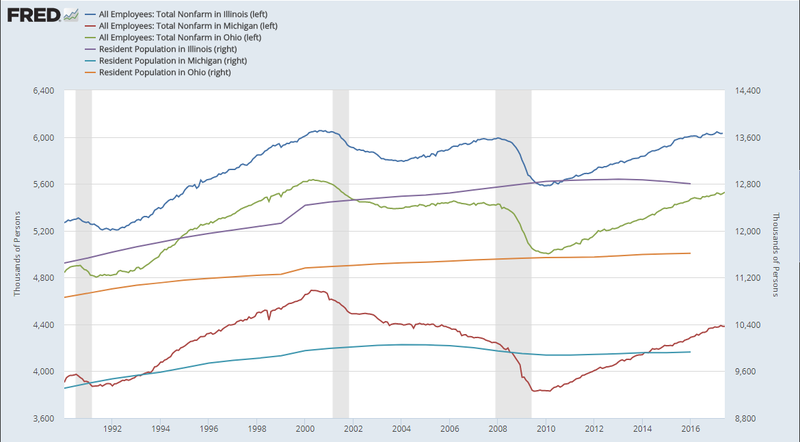 Illinois, Ohio, and Michigan are still below employment levels set in 2000. Here is a new chart I created comparing Illinois to Michigan and Ohio. At least Illinois is not last in every category. Illinois has 12 metro areas, none of which have unemployment rates below the national average. Illinois worsened between 1998 and 2007 and then again from 2007 to 2017. For more details, please see Metro Area Unemployment: Which States Are in Reverse? Spotlight Illinois. With each passing decade, the unemployment situation in Illinois has gotten worse. This is not surprising. The state passed its first budget in three fiscal years, complete with massive tax hikes. The budget is required by Constitution to be balanced, but it isn’t. An exodus of businesses and private citizens is underway. Reforms are desperately needed but none came with the passage of the budget. Governor Rauner is 0 for 44 in reforms he set out to accomplish. In fact, the corporate and personal tax hikes put the true score at -2 out of 44. Cash-strapped cities suffer under prevailing wage laws and untenable pension promises. Corporations suffer under the worst workers’ compensation laws in the nation. Citizens suffer from the highest property taxes in the nation. It is too late to save Illinois from insolvency. Rather than fix the problem, the new tax hikes will make matters worse. Number one on my list of Illinois reforms is bankruptcy legislation. It is the only way out for numerous Illinois cities whose hands are tied by union-sponsored prevailing wage laws and pension plans. Moody’s held off for now downgrading Illinois to junk status, but junk is baked into the cake sooner or later. The budget fixes nothing. Second only to March’s highs, The Conference Board’s Consumer Confidence printed at its highest level since the year 2000 (ironic given where Nasdaq is trading). Despite a tumble in ‘hard’ data, and a plunge in Bloomberg’s economic expectations, it appears record high stocks are working to pump Americans up. Consumers’ assessment of current conditions improved in July. Those saying business conditions are “good” increased from 30.6 percent to 33.3 percent, while those saying business conditions are “bad” was virtually unchanged at 13.5 percent. Consumers’ appraisal of the labor market was also more favorable. Those stating jobs are “plentiful” rose from 32.0 percent to 34.1 percent, while those claiming jobs are “hard to get” decreased slightly from 18.4 percent to 18.0 percent. Consumers’ outlook for the labor market improved. The proportion expecting more jobs in the months ahead was unchanged at 19.2 percent, but those anticipating fewer jobs decreased from 14.6 percent to 13.3 percent. Consumers, however, were not as upbeat about their income prospects as in June. The percentage of consumers expecting an improvement in their income declined moderately from 20.9 percent to 20.0 percent, while the proportion expecting a decline increased from 9.3 percent to 10.0 percent.